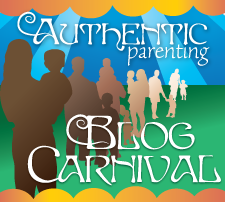 Welcome to the June 2013 Authentic Parenting Blog Carnival: Babywearing This post was written for inclusion in the monthly Authentic Parenting Blog Carnival hosted by Authentic Parenting and Living Peacefully with Children. 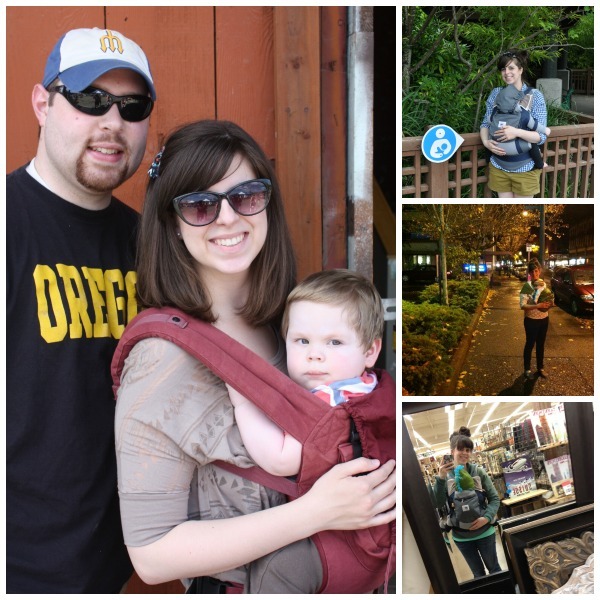 This month our participants have written about babywearing. We hope you enjoy this month’s posts and consider joining us next month when we share about anger. Sigh … babywearing. I love it so. And so do my babies. Jemma frequently brings me a carrier and asks to either be on my tummy or on my back. There is something so lovely about carrying a baby when they’re all small and squishy, but it’s equally magical to carry a toddler almost preschooler. I would tandem carry more often, but the almost 60 pounds of children I have makes that a very short lived dream. So … on to babywearing safety. Tonight I’m helping to host a babywearing class at a local parenting resource center and one of the things I’m sharing all about is babywearing safety. If you’re local to Western Washington – check out the details here! There will be two giveaways at the event, one donated by Simple Cloth and another from Umi Sling. Plus, I’d love to see you and chat about carrying our babes. Babywearing is pretty and becoming trendy and oh so functional, but making sure you’re carrying correctly is key to the comfort and safety of mamas (or whoever is wearing) and little ones. Keep these tips in mind and you’ll be in good to go! Keep your little one close enough to kiss, especially when they’re small. This will insure you’ve wrapped them high and tight enough. Keep watch that baby’s chin doesn’t tuck and rest on his/her chest. This helps to prevent positional asphyxiation (when someone’s position prevents them from breathing adequately). Newborns (0-4 months) are at greatest risk for this. Monitoring your baby closely while wearing keeps wearers in tune with baby’s position and ability to breath. This is one of the reasons most recommend that babies should not be back carried until they are at least 4 months or older. My personal preference is to wait until they’re 6 months and fully able to sit up on their own. Support baby’s back, bum and hips by using carriers that position their knees higher than their bum – like a sitting position. Baby’s head should always be supported. An infant insert is a great option if the particular carrier you are using doesn’t have a built in head support. This becomes less necessary as your little one grows and is able to support his/her own head without effort. Just like when little one’s are sleeping, make sure there is no fabric near their face. When learning a back carry position, utilize a spotter or crouch as close to the floor as possible. You can also position yourself over a bed or couch so there is a softer landing in case baby wiggles off your back before the carrier/wrap is secure. By nature, babies are curious creatures! Keep an eye on what they can reach while you’re wearing. While on your front or back they are at adult level so things usually out of reach become grab-worthy. This is especially true in crowded and/or unfamiliar areas. Avoid “crotch danglers” like the Baby Bjorn and other facing-out type carriers. There are mountains of articles and posts on this so I won’t fully explain. Here’s a great post, Thinking Beyond the Bjorn, to get you started :) And if you’re convinced that your baby only likes to be worn out – check out the more ergonomic option from Lillebaby. Every carrier/wrap has it’s own set of instructions, guidelines and advice. Before carrying your little one become familiar with all the manufacturers tips and tricks. I’ve learned a lot of great information from just reading the directions! Most of all, if it doesn’t feel right, it probably isn’t. While wearing, mama and baby should both be comfortable. Yes, babywearing takes some getting useful but nothing should pinch or hurt. Ask for help (that’s what local babywearing groups and awesome online forums are for!) and keep trying! What are your tips for babywearing safety? 10 Tips For Babywearing Safety– While wearing those babes, don’t forget these important safety tips! That Mama Gretchen shares her top reminders and welcomes your input too! Benefits of Babywearing – Mandy at Living Peacefully with Children talks about the benefits of babywearing in a way that is easy to inform nay-saying relatives. Baby Wearing while Traveling – Jana at Jananas and her family took a two week jaunt through Europe and wearing their son made all of lives so much easier and traveling pleasant! A Brief History of Babywearing – Jennifer at Hybrid Rasta Mama takes a little look into the fascinating history of babywearing. Wear Your Baby Out (Not the Other Way Around!) – Mercedes at Project Procrastinot shares some snapshots of babywearing out and about some of Scotland’s castles. How Baby Wearing has Benefited this Mama – Mama is Inspired was surprised and delighted to find out that baby wearing offered her just as many advantages as it did her baby. Babywearing my Newborn – Julia from A Little Bit of All of It shares her favorite carriers for the newborn period. Babywearing with Rebozos – Survivor at Surviving Mexico–Adventures and Disasters talks about how Mexican women wear their babies with rebozos. My New Favourite Carrier – Laura at Authentic Parenting talks about her new favourite carrier – the mei tai. Safety is definitely important to keep in mind! So much of it is intuitive but then there are so things as a newbie you just don't know! For the first few months of my son's life, I couldn't help but constantly check to make sure that he was breathing in his carrier. I felt like I had him settled in their properly, but your post would have helped me to be extra certain and given me more peace of mind. This post is really great! What a great list! "Close enough to kiss" is the most important especially for those first months! !